Theoretical knowledge is important, of course. But practical skills are just as important. Especially those that are useful to us and that we enjoy in our everyday life. Although many things are learned at school, there are certain skills that are acquired only outside the classroom and the curriculum. For your child to know how to fend for himself, here are seven skills you should teach him before he reaches the age of high school. Because junk food, prepared meals or pasta in the microwave are no match for home-cooked meals, everyone should know how to cook at least a few dishes to survive the era of industrial food . On the other hand, when it comes to eating out, eating at home is certainly more affordable and is even healthier. 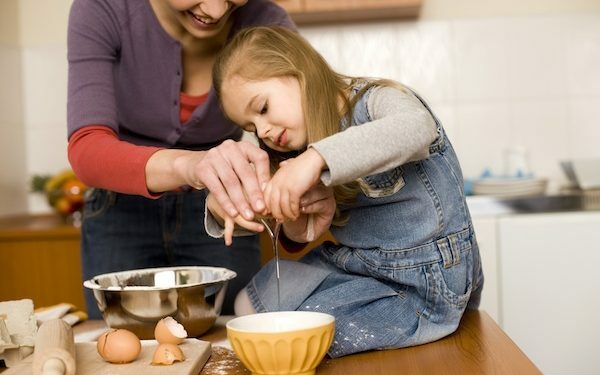 Introducing your children to home-cooked meals while they are young will certainly help them adopt healthier eating habits and will also be good, later, for their wallet. Teach your children some simple and healthy recipes that they can easily reproduce alone. And in case you're wondering if they're not too young to cook, just take a look at the junior MasterChef cooks to be convinced that cooking is age-free. Few young adults who leave high school master the basics of finance and budget management. And because children also have their pocket money, it is better that they are interested in a minimum to properly manage their expenses. So teach your child how to save, manage his budget and how to spend wisely. Teach your children to do laundry on their own. Show them how to sort the laundry, how to use the different programs, how to dose the detergent, how to remove stubborn stains, and let them perform all these tasks on their own from time to time. Make sure your children get into the habit of living in a clean, tidy environment by teaching them to clean up on their own. Teach them to mop, vacuum or wipe the cloth in the bathroom. Without making them a domestic genius, encouraging them to become involved in household chores from an early age will help them feel responsible and gain self-reliance. Scheduling meals, making a shopping list and going to the supermarket to make purchases while respecting a budget is very rewarding for a child. In addition to teaching him this, encourage him at the same time to read the labels of different products, look for bargains and focus on fresh and seasonal fruits and vegetables. There are problems that it is better for a child to learn to solve on their own. Managing certain situations alone will make it more autonomous and give it some sense of responsibility. Let him manage his departure to school or organize himself for his homework. Do not be afraid to see it fail, because it is by failing that you learn. Between school with homework and supervision, hobbies, sports and other extracurricular activities and visits from family and friends, children have a lot to do, and sometimes do so much that they sometimes feel overwhelmed by stress. Teaching them how to manage their time and take care of them could be of great benefit to them for the rest of their lives.